Now without too much explanation, here it goes. 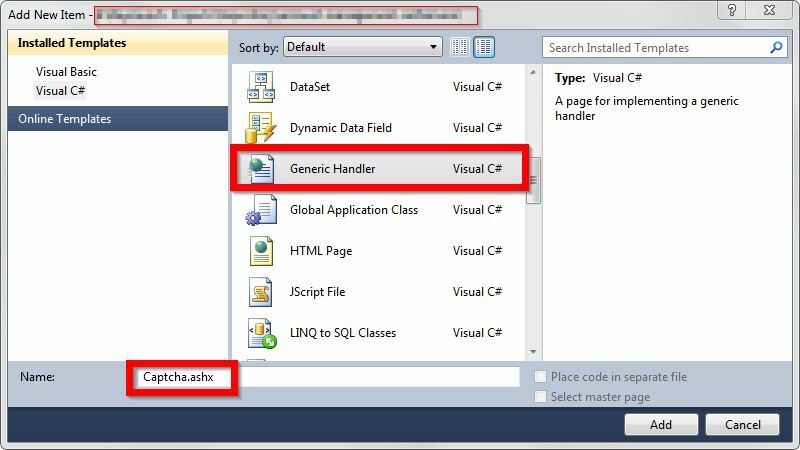 Step 1 : In your web project add a Generic Handler thats the file with the.ahsx extension, Ill just use this for this demo for simplicity and also it will compile on demand like a normal aspx file. Its up to you if you want to create a dll which is better so you can reuse it in any projects you want. 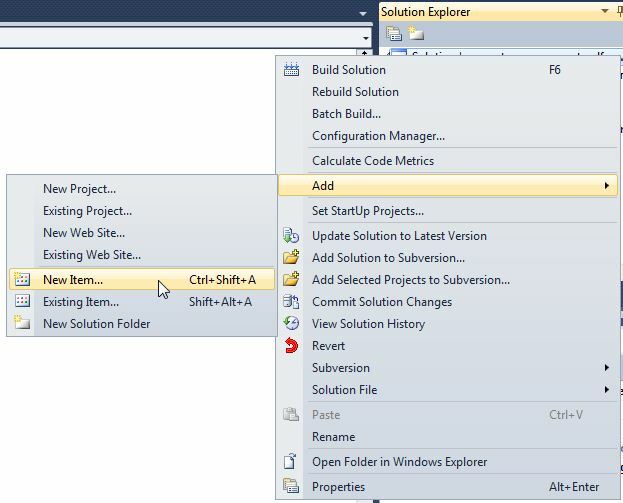 To do that right click on the project on your Solution Explorer. Step 2 : Once added you can start coding, here are the sample codes which you can freely copy. There are some commented explanation along the way so you wont get lost, but you can still ask me if you really need. Note : You may notice that I am using only numbers in this regard, this would be easy so users cannot be confused with l and 1, 0 and o, and other similar looking characters. Its giving me an error at runtime..!! It looks like the session was not found, have to tried doing Step 4? If yes can you give me the codes for Setting your session. where did we have to call this method ? is it in handler file ? My apologies if it was not clear but you need 3 files. 2b. 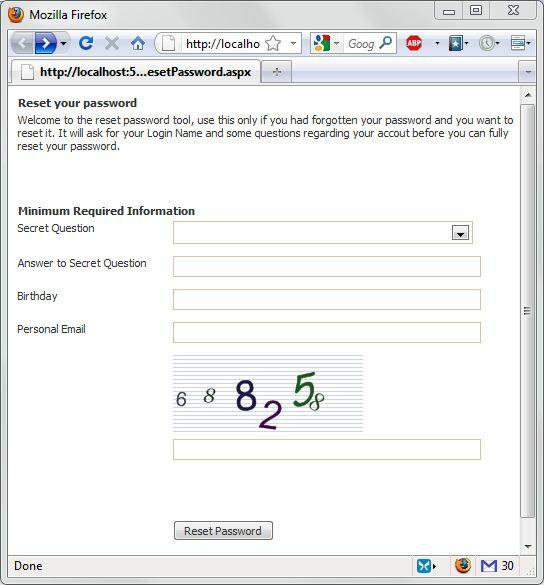 Your page where you put your captcha (The code behind or .cs part) -Thats the place you will put your method in question. But i have a problem. I don’t run your solution on IIS 7 on Windows 2008 R2. why the image wont come out ? can you send me the codes so I can properly debug what you mean. captcha image cant be viewed. Can show me your codes on your default.aspx so I can debug for you. Thank you for quick reply. But code in default.aspx cant be copied into the related box. Can you please send an e-mail address? I have a little problem with the captcha, sometimes it can be hard to see the order in which the characters are in. Is there any possibility to increase the distance between the characters? One more question. I would like to switch from storing capchan in a session to store the Captcha in a hidden-field, what changes do I need to do? Even if you put it in Hidden Field you still need to assign a value on sCaptchaText, so you still put it in a Seesion Variable or a Global variable that your application can get and set. Cant change captcha img. I put the “SetCaptchaText()” and “imgCaptcha.ImageUrl = ‘Captcha.ashx'” under Onclick event but still image keeps the same image. But session value changed. So how can I do that? other wise it works great..
System.Web.SessionState.IRequiresSessionState if you want to access session in handler. i cant see an image when i run ur codes.. Hi!! I do this tutorial, but i have a problem, when I execute I cant see the image pliss help me!! thanks!!! and removed context.Reponse.End(); in the bottom. Excuse me .. I’m not understand step 3 onward.. where should i put the code (step 3) ?